You finished decorating your Christmas tree, all presents are wrapped neatly and the Christmas party is right around the corner. Now it's your turn to create the best Christmas look of all. Grant yourself a magical spa treatment, put on some stylish powder rouge and let your mascara dance to some classic Christmas songs. Create your unique look by combining many styling options and be the star at the upcoming Christmas party! 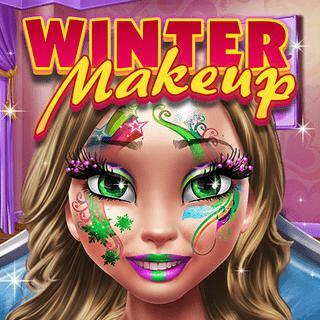 Winter Makeup - Find Winter Makeup in our vast HTML5 games catalogue. Only the best and newest HTML5 games for all audiences. Guaranteed success with Famobi.